Professor Caroline Smith is based at NICM, Western Sydney University, and leads the Healthy Women research theme. Caroline is also one of the Health and Wellbeing Theme Champions at Western Sydney University. She is an experienced acupuncturist, clinical researcher with extensive experience in evidence based research including the design, conduct of large multi-centre randomised controlled trials and systematic reviews. Caroline has been consistently successful with obtaining funding to undertake collaborative research conducting acupuncture trials evaluating the promising role of this treatment during pregnancy, to improve reproductive health, regulation of menstrual cycles, and reducing the treatment related side effects from cancer for women with breast cancer. 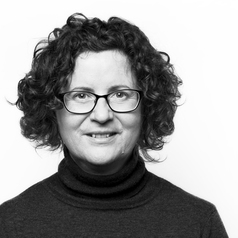 Caroline has published over 135 peer reviewed articles, and has an H index of 32, her research has influenced clinical practice through the inclusion in clinical practice guidelines in Australia and overseas. Caroline is on the Advisory Board of the Complementary Medicine Field, and editorial board member for the Cochrane Menstrual Disorders and Sub-Fertility Group.